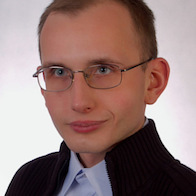 This badge was issued to Grzegorz Abramczyk on 21 Sep 2016. This badge earner can use the Process Designer to model and implement business processes and the Process Portal to design and create coaches for rich user experience. The individual has a strong understanding of BPM Architecture, the Playback methodology, data types, decision services, as well as error handling. The badge earner also has a strong understanding of user stories and is able to use these to navigate a project through completion of playbacks 0-4. Must be an IBM employee or an IBM Business Partner employee and you must receive an invitation from IBM to participate. - Experience with modern programming techniques. 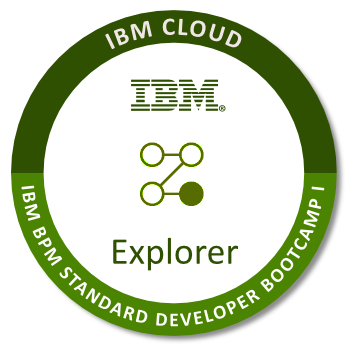 Step 2 - Complete the two week IBM BPM Standard Developers Bootcamp I. Step 3 - Complete the Bootcamp exam with a passing score of 80% or higher. For course agenda and availability, please contact CloudBP@us.ibm.com.